Let’s make this season merry and bright! There is no doubt that this has been a challenging year for many folks in our community. We want you to help us make a difference in the lives of a local family this holiday season. 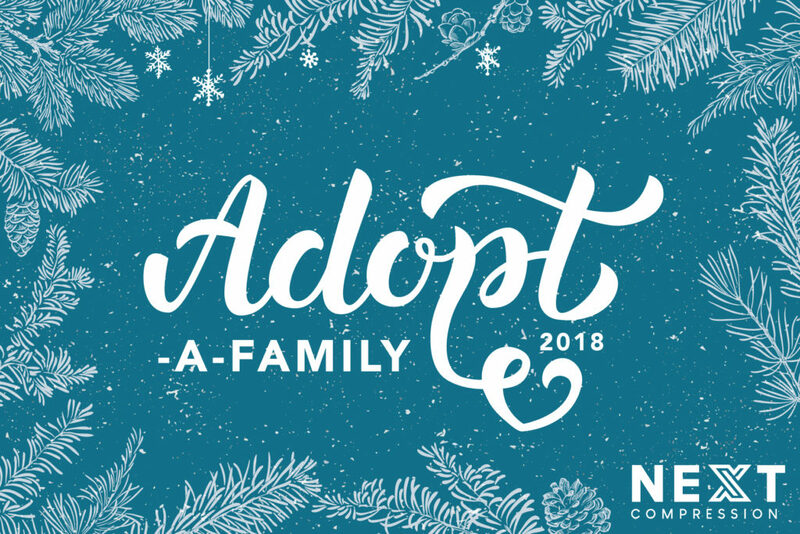 In conjunction with the non-profit organization Inspire, we are pleased to bring you the first annual NEXT Compression Adopt-A-Family holiday program. We are now accepting submissions from employees and customers for families in need of a hand this Christmas season in Calgary, Drumheller, Stettler, Grande Prairie and Fort St. John. If you would like to nominate a deserving family, please click the button below to submit your confidential application. All details will be kept strictly confidential and you will remain anonymous. We know it can be hard to accept help during the holiday season, so to ensure everyone feels comfortable, we will be delivering the gift basket to the nominator who can then deliver it to the family on behalf of NEXT. The Inspire Committee will select a submission from each of the communities we work in and a special Christmas delivery will be arranged. Please submit your nominations by Friday, December 7 at 3:00pm MST. Please click here to download the nomination form. Please complete the form and return via email to: media@nextcomp.ca.